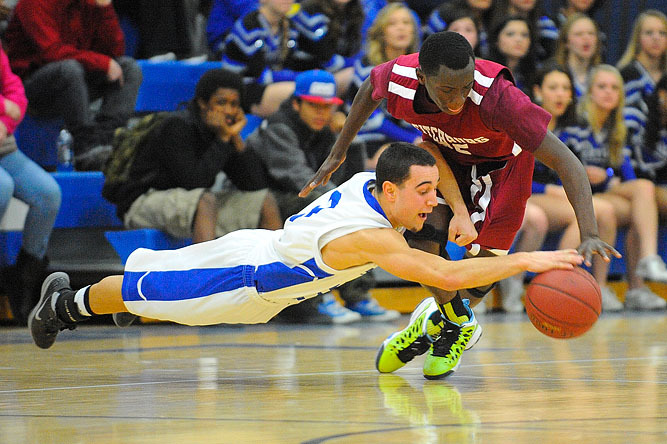 Leominster's Jake Allain and Fitchburg's Manny Payton battle over a loose ball during a game in early February. Fitchburg won 60-55. Leominster's Jarell Addo gets blocked by Fitchburg's Jose Hernandez.